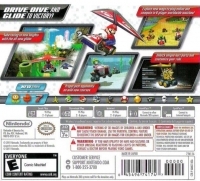 Box Text: DRIVE, DIVE AND GLIDE TO VICTORY! -Take racing to new heights with the all-new glider. 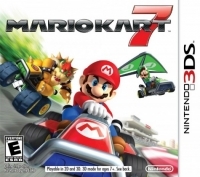 -Explore new ways to play online and compete in 8-player worldwide matches! -Unlock unique kart parts and customize your ride. -Propel past opponents on wild new courses. 07-07-2016 aliensstudios Box Text DRIVE, DIVE AND GLIDE TO VICTORY! -Take racing to new heights with the all-new glider. -Explore new ways to play online and compete in 8-player worldwide matches! -Unlock unique kart parts and customize your ride. -Propel past opponents on wild new courses. -NEW Items! 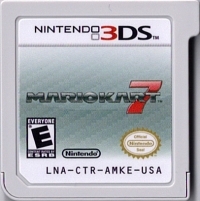 This is a list of VGCollect users who have Mario Kart 7 in their Collection.